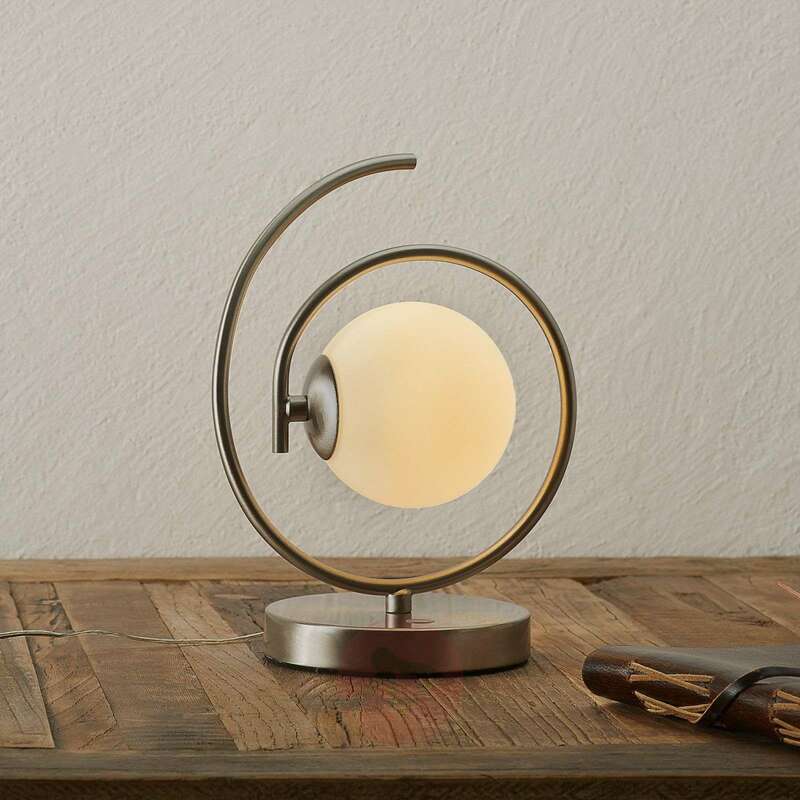 There is no doubt that the first thing that is noticed about the Ensemble LED table lamp is the spiral, nickel-coloured frame. 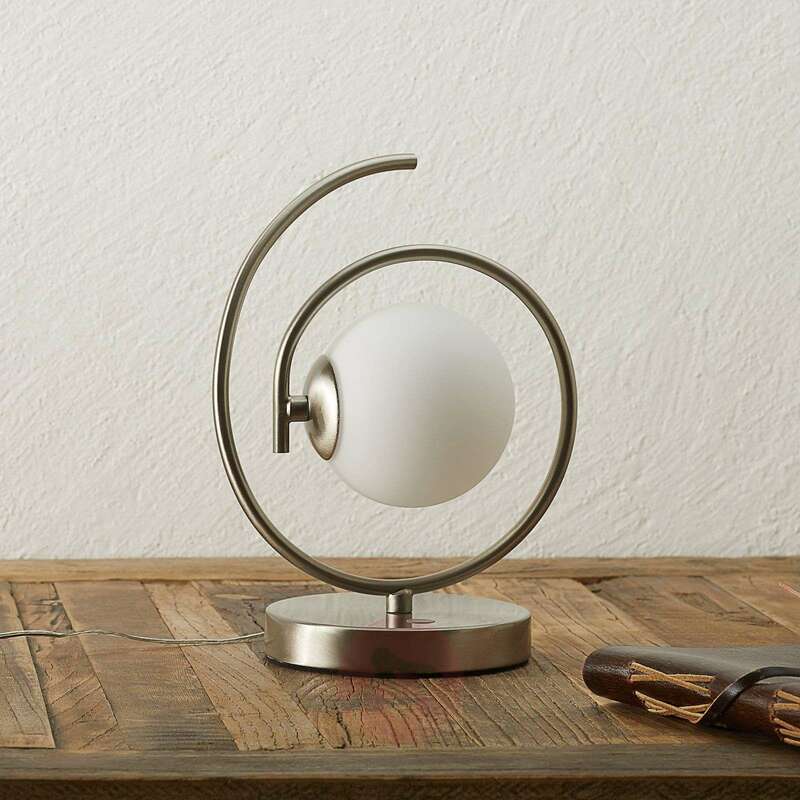 It draws its circle around a satin-finished sphere made of blow glass that appears to be suspended in the spiral. All in all, this light strongly resembles a planet. 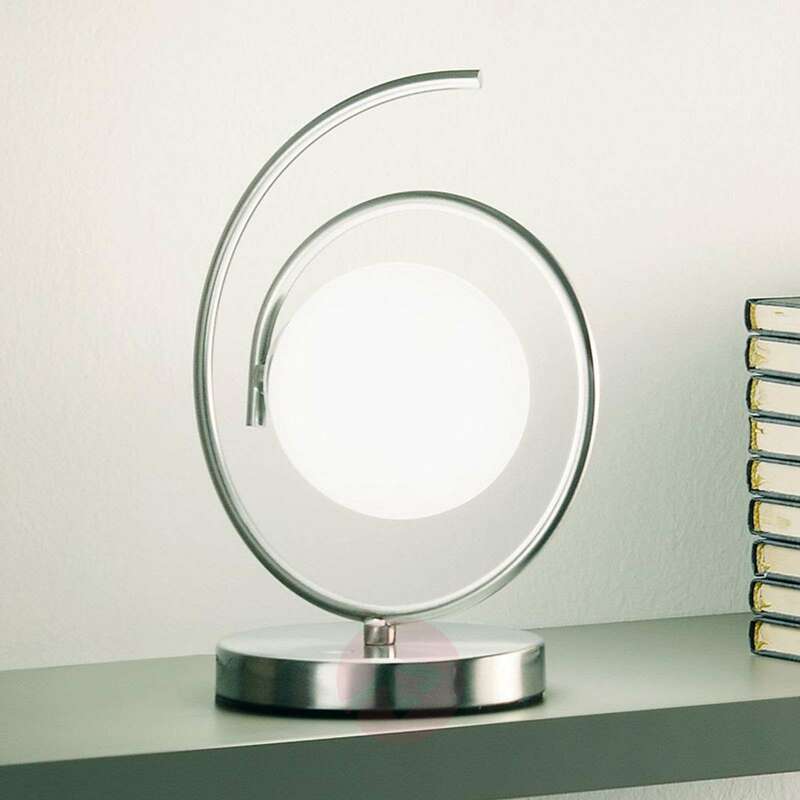 When the table lamp is turned on, the glass sphere and the LED installed in it illuminate the room with wonderful warm white light. Thanks to the touch dimmer, it can also be set brighter or darker depending on the requirement. It can be placed on a small side table in a living room, on a cabinet in a corridor or a shelf in a living room. One thing remains the same wherever it is used: the futuristic look of this light.